1. Combine all ingredients in medium size mixing bowl. Hands work best. 2. Shape into 5 patties. 3. Grill in a large skillet on medium heat ~5 minutes per side until internal temp reaches 165F. Or grill outdoors. 1. Add all ingredients to blender and blend until well mixed and cilantro is very small. 2. 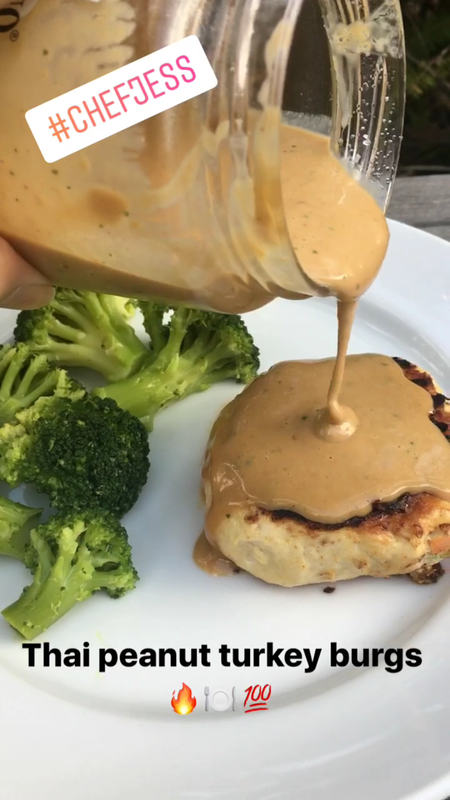 Poor desired amount of sauce on burgers once they are cooked. 3. Store in jar in fridge.